Increasing Maoist activity in Assam, where polls are due early next year, has emerged as a serious threat for both the government and the security forces. With the influence of the United Liberation Front of Assam (ULFA) waning in this northeastern state, the Communist Party of India (Maoist) is increasingly stamping its authority, starting with some selected areas. The Maoists are now a security challenge to the government which has been already tackling ethnic and Islamic militancy for the past many years. The Maoists—ultra-left radicals—want to build a ‘red corridor’ in Assam and are operating in the districts of Dibrugarh, Jorhat, Tinsukia, Sivsagar, Dhemaji, Lakhimpur, Karimganj, Golaghat and Cachar. Two years back their cadre strength was 300 and they had formed armed units in Tinsukia and neighbouring pockets in Arunachal Pradesh. Assam chief minister, Tarun Gogoi, had pointed out that Maoist activity was in its infancy but could soon become a major security threat because they had already established contacts with their brethren in Jharkhand and Chhattisgarh. In 2013, the Union home ministry for the first time, declared Assam as a Maoist-hit state. Their cadres were largely active in the Upper Assam division that’s home to many ethnic groups. The security forces are worried about the current recruitment drive of the Maoists, and their aim to spread ultra-left ideologies in Assam. They have been reportedly organising political classes in some areas for mobilising people from several communities. They have also formed the Upper Assam Leading Committee (ULAC) which consists of five districts. Many training camps were held in the region. They also allegedly have ‘explosive experts’ trained to handle all types of improvised explosive devices (IEDs). All these developments are collectively important because Maoists are repeatedly foraying into Assam politics for expanding their influence. The reasons for them targeting Assam as their next hunting ground, is quite apparent. They were closely monitoring the turn of events in the crisis-ridden northeast which is also one of the least developed regions of the country. They also want to capitalise on the disharmony of the marginal and deprived ethnic groups. 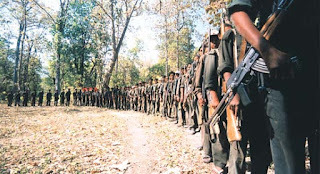 Maoist leaders in Assam are aware of the ground realities. With no ‘class war’ as elsewhere in the country, they have to fuel the ‘rebellious instinct’ of some of the communities. Maoist cadres in Assam are mostly recruited from the adivasis and the tea growing tribes. A major section of adivasis, whose ancestors were brought to the state from Chota Nagpur by the British in the 19th century to work in the plantations, still live in miserable poverty because of the indifference of successive state governments. 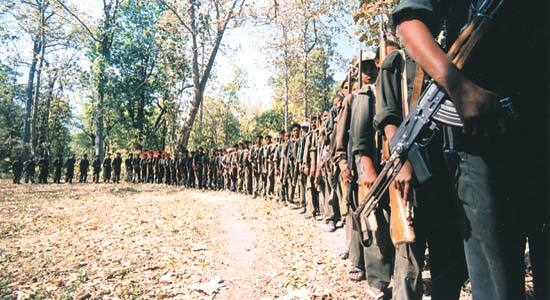 Maoists are exploiting the situation in this resource-rich northeastern state. They are also refraining from extortion to project them as pro-people and enhance their acceptability among the locals. They never engage in confrontation with the state’s active militant groups, including ULFA, which still has a large influence. Instead, they absorbed many former ULFA activists and sympathisers, for consolidating their base in Tinsukia. In Assam, the Maoists are trying to cash in on popular grievances. They are targeting the segments that are embittered with the actions of the government and are offering all out support to their causes. Burning issues like poverty, unemployment and land conflict are weapons in their hands. An underdeveloped Assam is turning out to be a happy hunting ground for them for radicalising the peasants. Farmers in the state are under an existential crisis because of recurrent floods and soil erosion of the Brahmaputra and its tributaries. Adding to the woes of the authority, are the various hydel power projects started in neighbouring Arunachal, sans any assurance of rehabilitation of the displaced people in Assam.